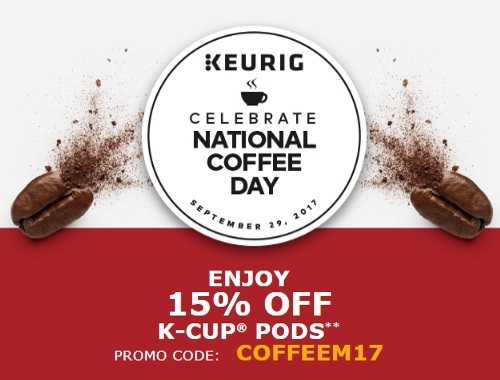 Celebrate National Coffee Day on September 29 with 15% off K-Cup pods all month long! Enter the promo code COFFEEM17 at checkout to get the discount. Offer is valid all through September. Free shipping applies on all orders above $70. A maximum of 9 boxes per product can be added per order.